Chicago, Illinois is known as the “Land of Lincoln,” as it was the home of the beloved 16th president of the United States, Abraham Lincoln. 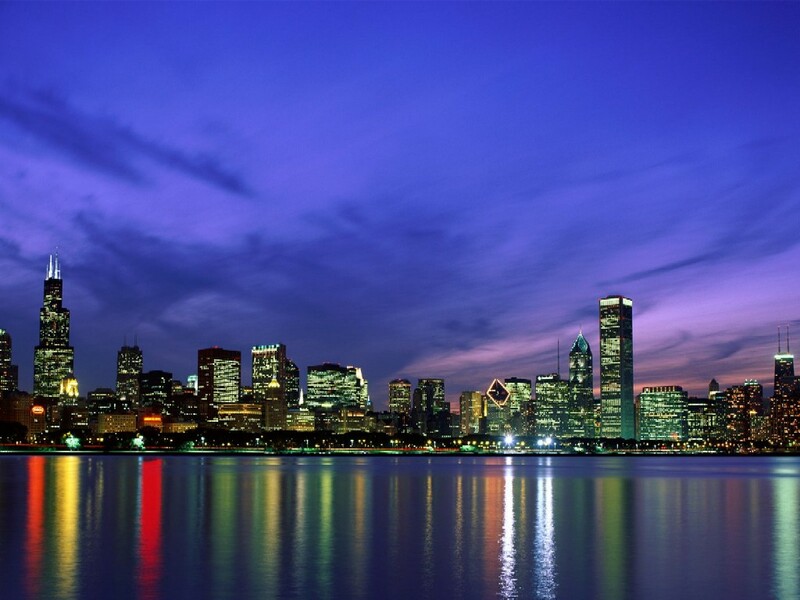 The windy city is the third largest city in the US, and there is no end to its amount of entertainment value. Part of Chicago’s endearment to tourists is its upbeat culture. Chicago was founded in 1832, and rebuilt after the Great Fire of 1871, leaving its streets laden with historical architecture, including the Sears Tower and Frank Lloyd Wright House. The Sears Tower Skydeck gives tourists a picturesque outline of the city, and as long as the line for admission is relatively short, it is a nice way to spend about an hour out of your day. The Frank Lloyd Write house is an evolutionary experience of the many remodeling stages this home went through between 1889 to 1911, while the famous architect and his bride made their home a veritable living laboratory. From its humble beginnings as a cottage, to the whimsical masterpiece it has become, this is an hour well spend for any fan of history or architecture. The Art Institute of Chicago is at the heart of the downtown area, and offers some of the best theatrical productions in the United States. The Art Institute is known for its Japanese prints, Greek vases, Egyptian bronze, British photography, 20th Century sculpture, and modern textiles. A free tour is offered daily at 2PM on Tuesdays, Saturdays and Sundays. If you’re interested in purchasing work from both local and internationally known artists, Art Chicago, is held annually from April 29 through May 2. The exhibit features 200 galleries and 3,000 artists, with prices ranging from mere dollars up to the millions. The Field Museum of Natural History, also home to the motion picture action hero, Indiana Jones, offers over nine acres of permanent exhibits from 9AM to 5PM daily. A few of its highlights are a complete skeleton of the Tyrannosaurus Rex and over 23 actual mummies from ancient Egypt. The Museum of Science and Industry is an interactive exhibit of science and environment, including a working coal mine, German submarine, and the first diesel powered passenger train. The Adler Planetarium and astronomy museum is historically the first planetarium to open its door in the Western hemisphere. One of their greatest attractions is StarRider Theater, which is a half hour, 3-D generated trip through deep space. The John G. Shedd Aquarium in Chicago is one of the world’s largest aquariums, featuring thousands of creatures from the Caribbean coal reefs, Amazon (piranha), and deep sea. A few of its highlights are the shark habitats and replica habitat of the Pacific Northwest sea. The Magnificent Mile is an excellent place for dining, and the food court found on the eighth floor of Chicago Place is one of the local favorites. With such menu choices as Subway, Taco Bell, and McDonalds, it isn’t the menu that pulls in the crowds, but rather its wide selection, cheap prices, and beautiful, tropical setting (waterfall, tropical trees, city views, etc). For a more unique experience, Alinea and Moto offer some of the most unusual and tasty food combinations you’ll find in the windy city. For an equally unique experience with atmosphere, it would be hard to find more lavish setting than the pop-cultural favorites, Tizi Melloul, Carnivale, ZED 451, and De La Costa. There are several dining staples in Chicago that may have been around awhile, but if you are a first time visitor, they come highly regarded among the high-end cuisine community, including Everest (chef, Jean Joho), Arun’s (chef, Arun Sampanthavivat), Charlie Trotter, and Spiaggia (Italian). While most of the restaurants in the Chicago area are labeled as three stars or above, prepare to spend three dollar signs or more to experience them. If you’re looking for something a little more budget friendly, step away to any of the multicultural neighborhoods, such as Little Italy, Greektown, or Chinatown, where you’ll find original, authentic, ethnic cuisine at a fraction of the cost you’d find elsewhere.